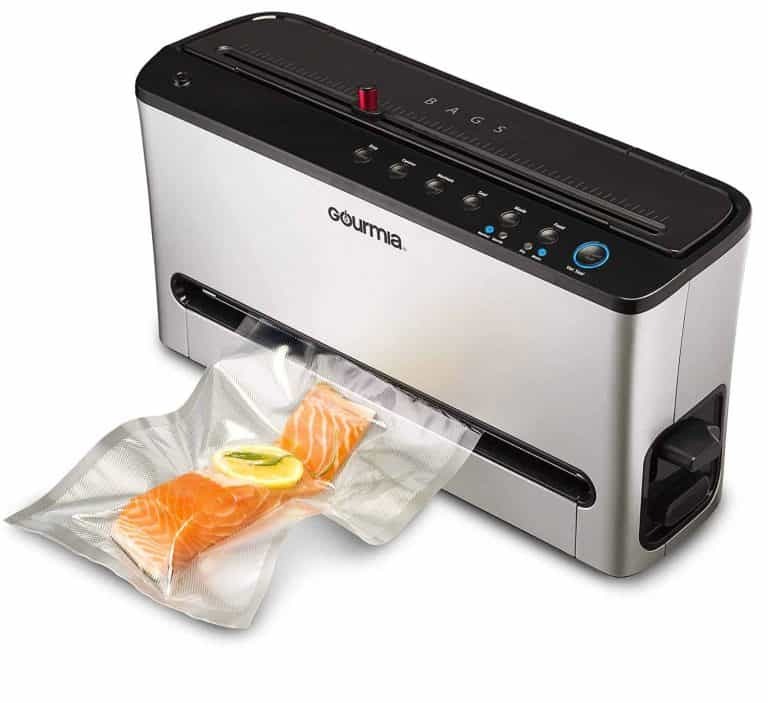 We reviewed 39 different Vacuum Sealers including 3 from Gourmia. Our reviews will help you find the model that's the best fit for your needs. We looked at the features being offered, how important they were, how easy it was to use, overall quality and price. You can use the quick view table below to see the highlight or use the Comparison Table to see all of the features compared side by side. A Gourmia Vacuum Sealer would make a great companion to a Gourmia Sous Vide. Our reviews showed the Best Gourmia Vacuum Sealer was the Gourmia GVS445 - Gourmia GVS445 it featured many of convenience features you normally only find in more expensive models, at a more reasonable price. It also features a vertical design that reduces the amount of space it takes up on your countertop, something we wish other brands would start doing. For people who don't need as many features or are shopping on a budget the Gourmia GVS415 is the best choice, it has all of the important features you'll need in a compact easy to store design. 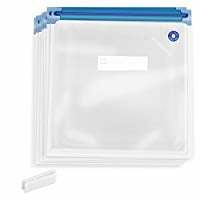 14" x 5" x 3" 5.5" x 15" x 2.8" 5" x 16" x 8"
All Gourmia Vacuum Sealers come with a 1 year manufacturers warranty, they can handle both wet and dry foods. You can use 8" (20cm) or 11" (30cm) bags or rolls. 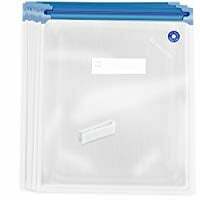 You don't need to use special bags, any standard vacuum sealers bags will work. A vacuum sealer is great way to start making your food last longer, or to try sous vide cooking. Set your vacuum seal on the dry setting, and normal mode if your model has that feature. All Gourmia models will work with 8" &lpar;20cm&rpar; & 11" &lpar;30cm&rpar; sized bags. No you can't remove the drip tray, you should blot up any liquid with a paper towel and then clean it with soap or any other kind of disinfectant to prevent bacteria growth or cross-contamination. They do make some noise when you are using them but they aren't as loud as some other models. No, you can use any standard vacuum sealer bags. You can learn more about Vacuum Sealers in our Vacuum Sealer Buying Guide, How to Choose A Vacuum Sealer Guide, or Vacuum Sealer FAQ. For help finding the right model be sure to visit our Vacuum Sealer Reviews or Vacuum Sealer Bag Reviews pages. This Gourmia GSV138 Sous Vide is a newer model that we really think is a great choice. It has lots of power, in a high quality housing, and comes at a great price.